Dr. Field has been providing superior general, restorative, cosmetic, and implant reconstructive dentistry in Boca Raton, Florida since 2004. He earned his dental degree (DMD) from The Nova Southeastern University College of Dental Medicine (Fort Lauderdale, Florida} in 2002. Dr. Field graduated from dental school as a member of the Omicron Kappa Upsilon National Dental Honor Society; an academic honor bestowed upon only the top 12% of the graduating class. Upon graduating from dental school, Dr. Field chose to voluntarily complete a one year general practice dental residency program at The Mount Sinai Medical Center in Miami Beach, Florida. After completing this program in 2003, Dr. Field worked in private practice in Coral Springs, Florida until joining his current practice in Boca Raton in 2004. 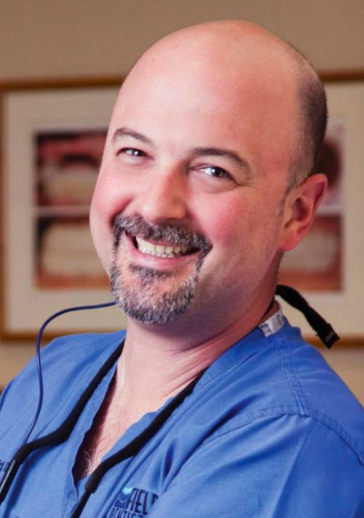 Dr. Field is committed to constantly furthering his knowledge base in dentistry. He completes extensive continuing dental education both nationally and locally every year. He is an active member of The International Team for lmplantology, The American Dental Association, The Florida Dental Association, and The South Palm Beach County Dental Association. Dr. Field graduated high school from The Culver Military Academy (Culver, Indiana) in 1992. He then graduated from the University of Vermont (Burlington, Vermont} earning his Bachelor of Science degree in 1996. While attending the University of Vermont, Dr. Field met his wife Leslie, who is currently a practicing Family Practice Physician in Coral Springs, Florida. Dr. Field and his wife Leslie live in Parkland, Florida with their three daughters. When not practicing dentistry, Dr. Field enjoys traveling with his family, playing golf, grilling on the BBQ, and watching football.